Graeme Pallister and his restaurant 63 Tay Street have achieved many awards and accolades since he purchased the business back in 2007. This comes with dedication and a passion to ensure that every guest is given the best produce, the best flavours, and the best service at an affordable price. Edinburgh foody review and dish prepared by Graeme. Considered within the industry as one of the most highly decorated and prestigious awards to be associated with. Graeme was also shortlisted as a finalist for this award for two years running before successfully picking up the award last year. Another award recognising our extensive wine list that has matured and grown over the years to become a list of outstanding choice and variety. We have retained this award for the last 3 years and are among an elite group of only 219 restaurants nationwide to be given such an award. 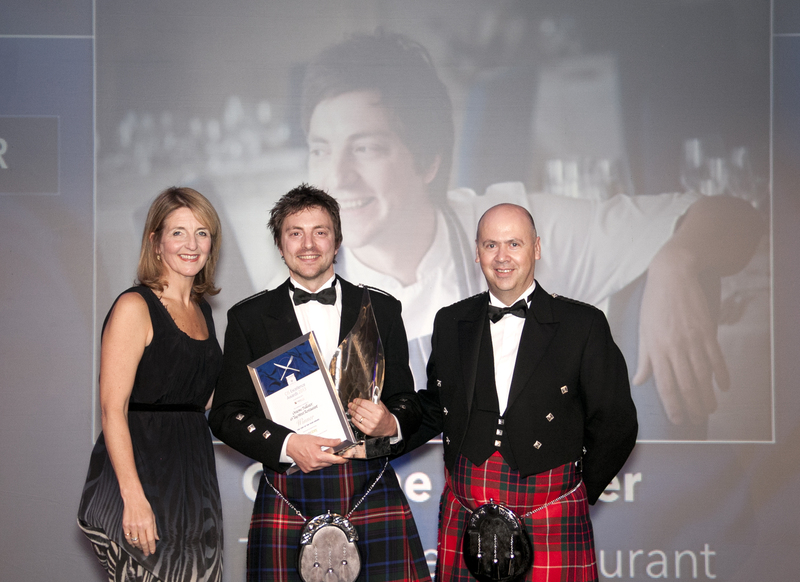 An award attributed to VisitScotland with the “Gold” being held in high regard as a benchmark for restaurants that excel in all aspects of their operation. A highly acclaimed national award, recognising our wine list to be up there with the best that the UK has to offer from its’ many restaurants.